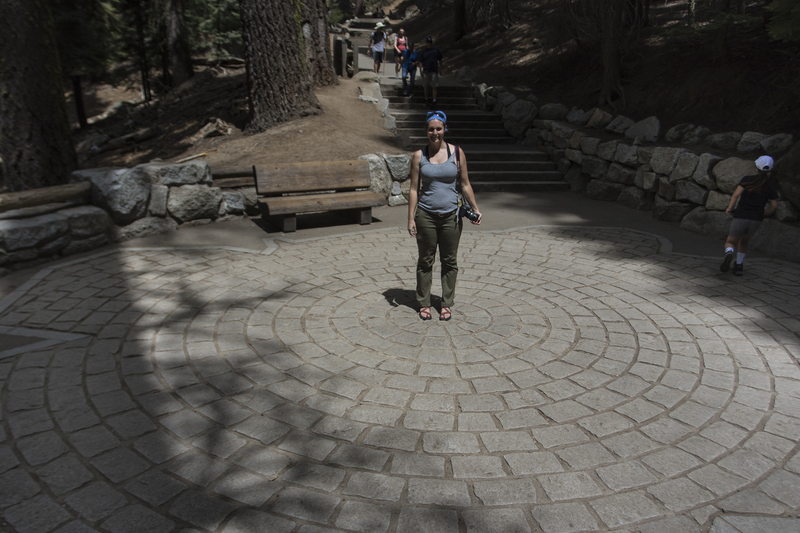 Walk in the Sequoia woods at any time of the year and you will say they are the most beautiful and majestic on earth. I am far behind in posting about recent events, sightings and travels. But I guess that is a good problem to have – doing and seeing so much that I don’t have time to write about it! So, here is the first of several posts on our travels this past month. We finally made it to see the giant sequoias and the incredible high country of the Sierras. Melissa was awarded a trip for an interpretive training session in California, and I flew out to join her and Megan for a rather unplanned camping trip afterward. Our first planned trip had been postponed a few years ago when wildfires blanketed the area with smoke, so we made some last minute changes and hiked the Lost Coast Trail instead. Now we had the time, but little in the way of concrete plans (no reservations for campsites, since they fill up months in advance and this trip had been planned on much shorter notice). I flew into Reno, Nevada, and we drove several hours into the Central Valley of California, home to what looks like our country’s largest source of fruits, nuts, and vegetables, with mile after mile of irrigated farmland. 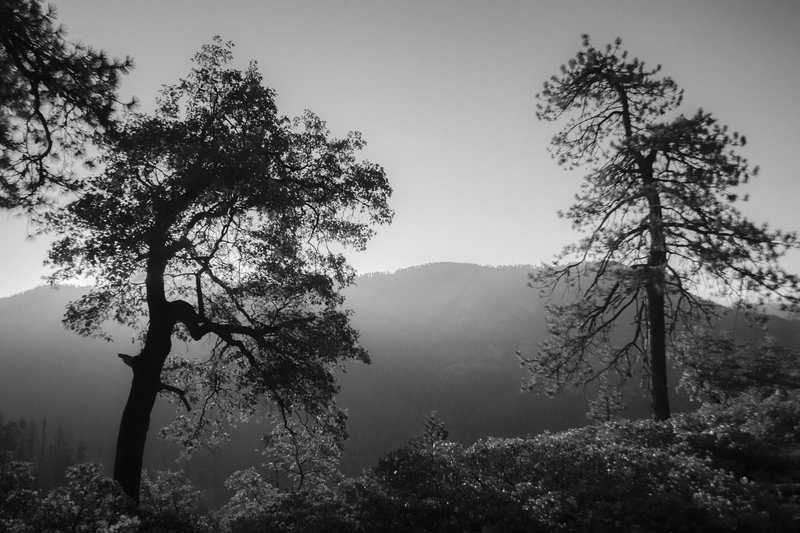 After an overnight near Fresno, we were up early and headed into Kings Canyon National Park. We lucked out and got a back-country permit for a 10-mile hike in Redwood Canyon, home to some large groves of giant sequoias. Since we only planned to hike a couple of miles before pitching camp our first evening, we decided to first take in a few of the iconic sites accessible by road. 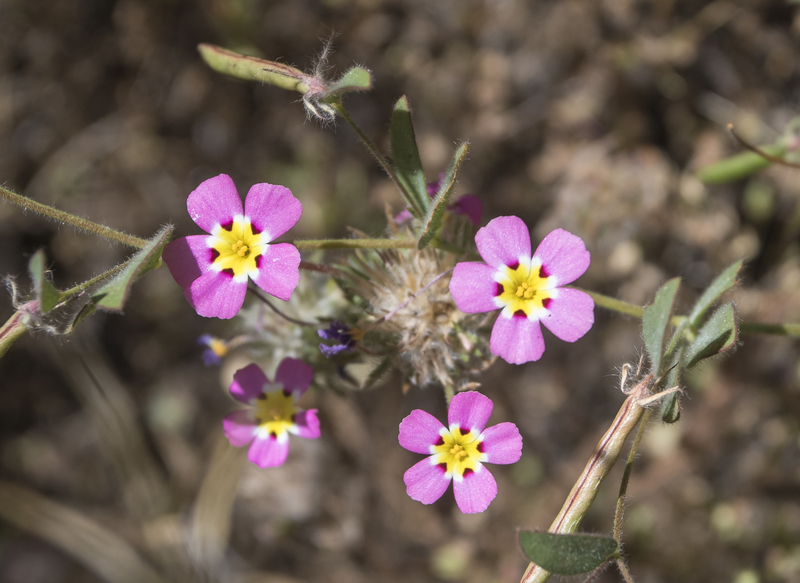 Kings Canyon is considered one of, if not the, deepest canyons in North America. 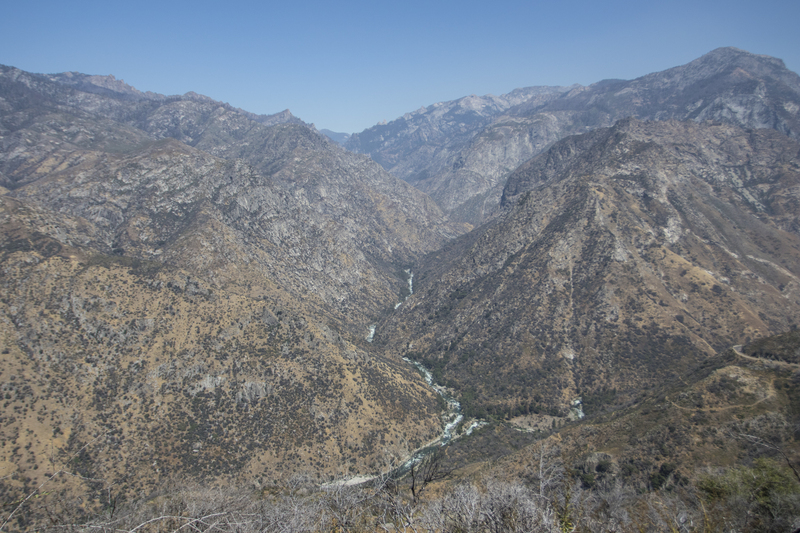 Just outside the park boundary, the canyon is almost 8200 feet deep from the Kings River to the top of an adjacent mountain peak. 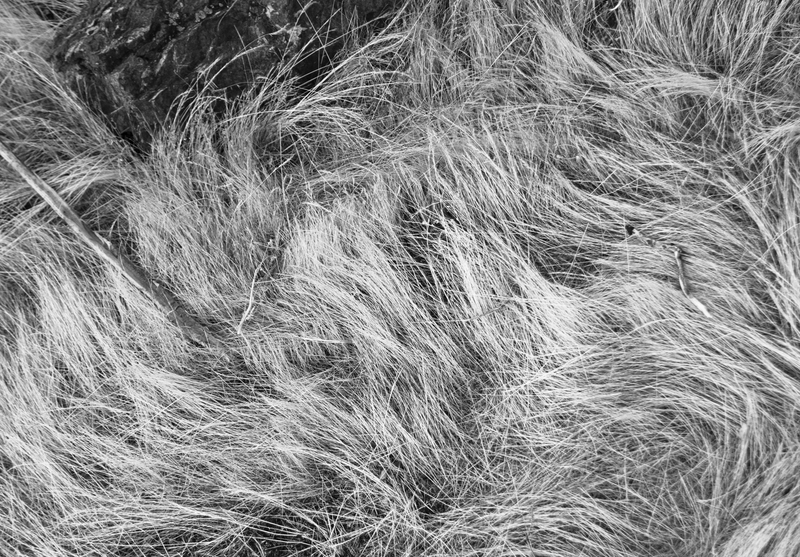 It is incredibly rugged and dry. The latter was the big surprise to me. No wonder forest fires are such a part of this landscape. The wettest habitats are, of course, along the waterways. 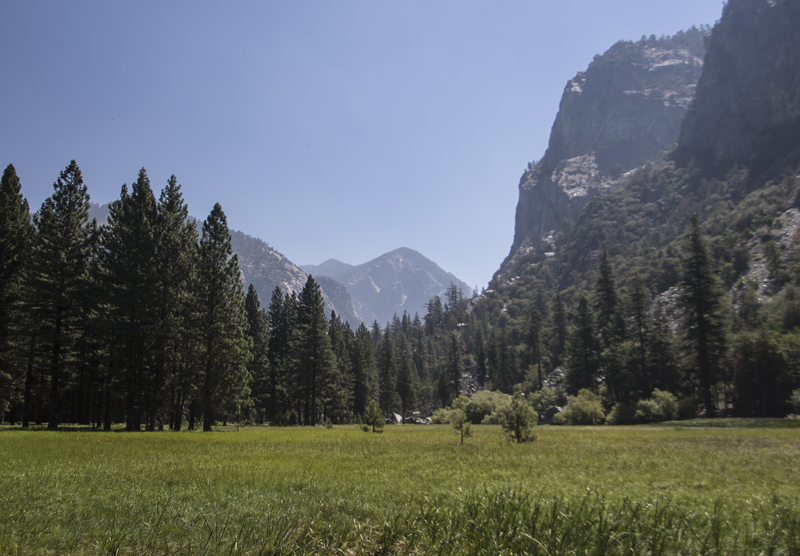 We stopped at one of the classic Sierra landscapes, Zumwalt meadow, and arrived just in time for a ranger-led walk. The ranger was a young seasonal who had an amiable style and almost immediately shared a new learning. What I at first assumed was a young, yet still substantial, giant sequoia, turned out to be an incense cedar, a common species in these habitats. 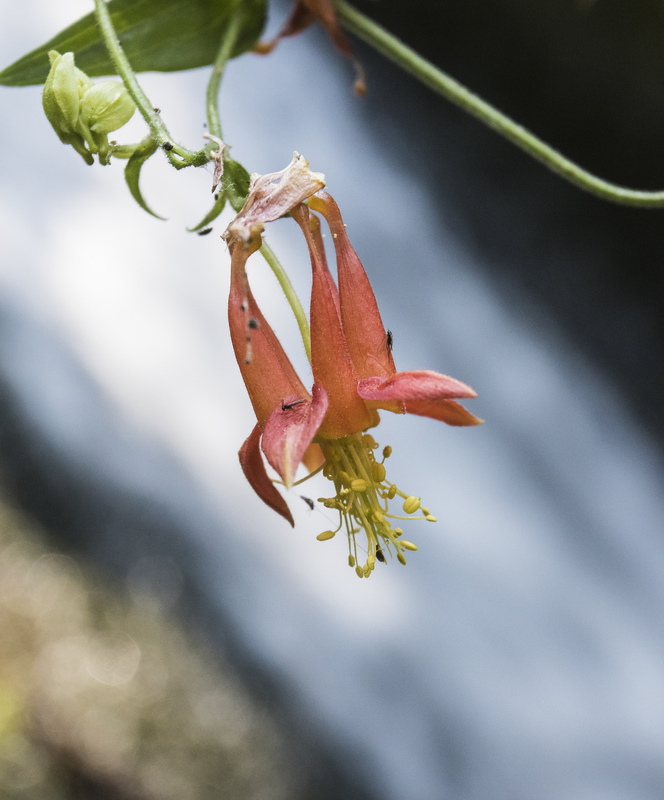 There are several notable features that distinguish the two species, so it was a good lesson for our hikes to come. 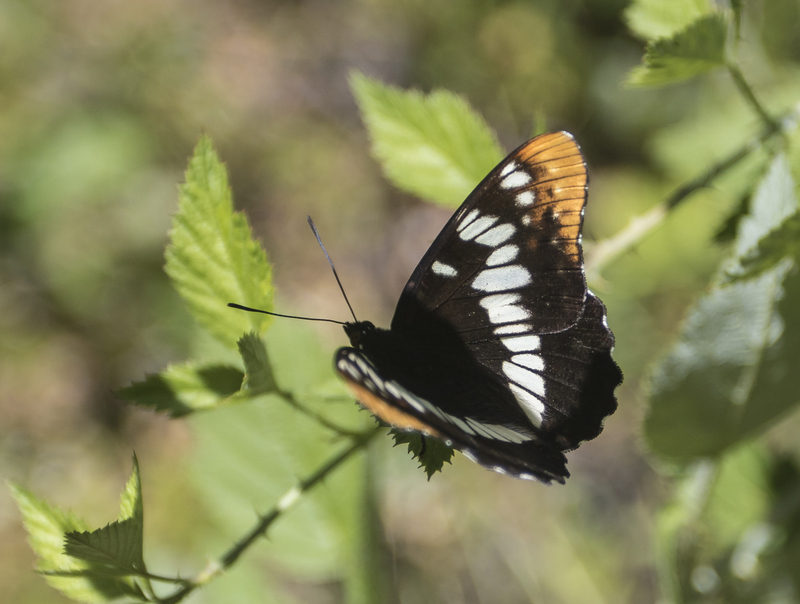 At the meadow proper, we saw several butterflies – a few monarchs flitting about some milkweed out in the meadow, add a striking Lorquin’s admiral along the trail. We continued around the loop after the ranger finished his talk, but not before he gave us a good tip on a feature to look for on our drive out of the canyon. A geologic highlight no less (those that know me know how unusual this is for me). 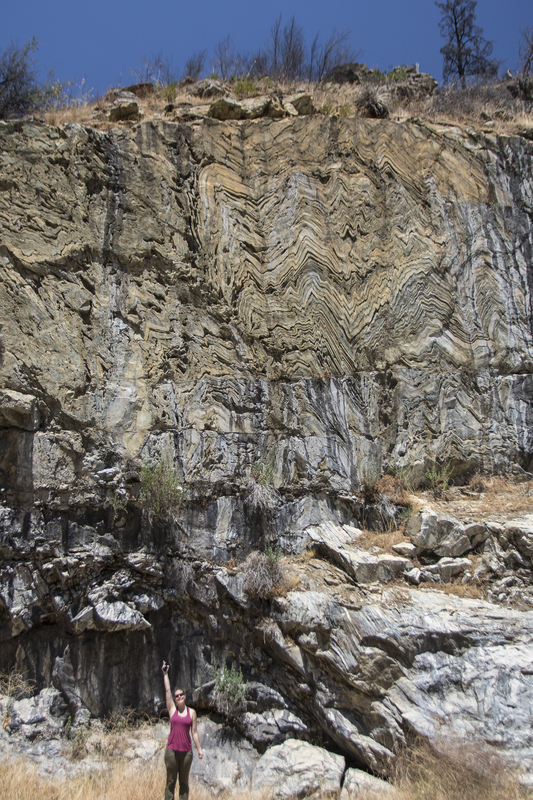 The ranger (who had a degree in geology) told us about a distinctive fold on the highway which I now know is famous as the Kings Canyon Fold. He said it was the textbook example of how rocks can be deformed at high temperatures and pressures. Sure enough, it is not only on textbooks, but is also an exhibit at the American Museum of Natural History. The canyon does provide incredible views of a landscape shaped by glaciers, rivers, and huge geologic forces that have occurred over the millennia. 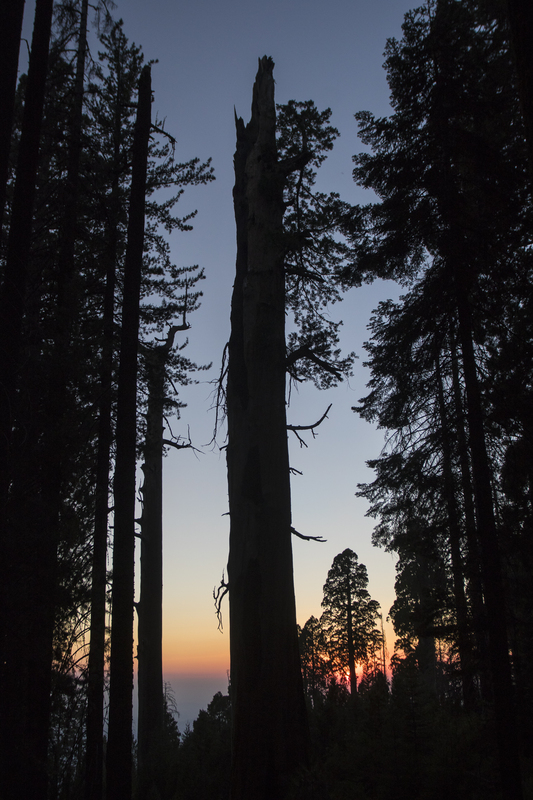 But what I most wanted to see were the living things that have survived the millennia – the giant sequoias. 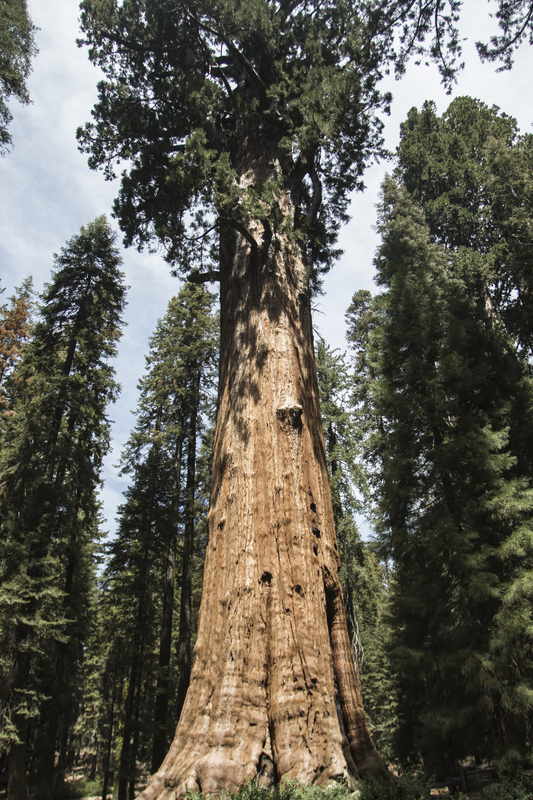 A must stop for anyone in Kings Canyon is the General Grant tree, the second largest tree (by volume) on Earth. 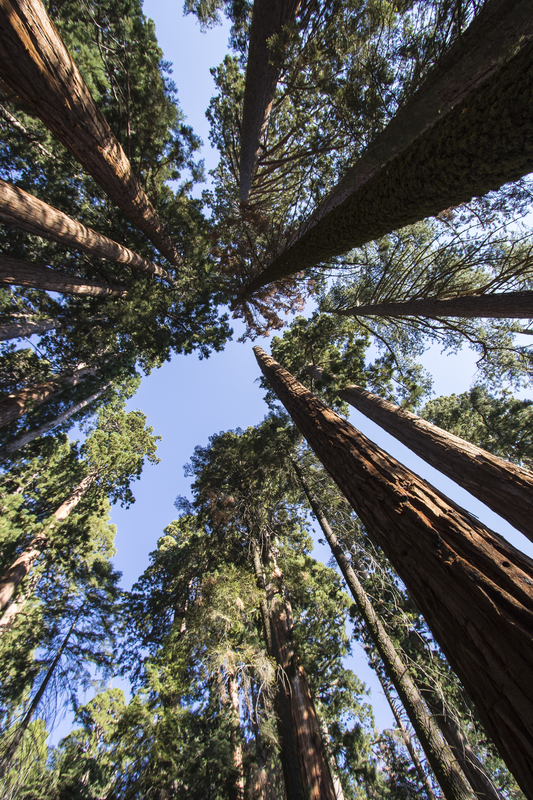 Coastal redwoods are the tallest living organisms, but giant sequoias are the most massive. 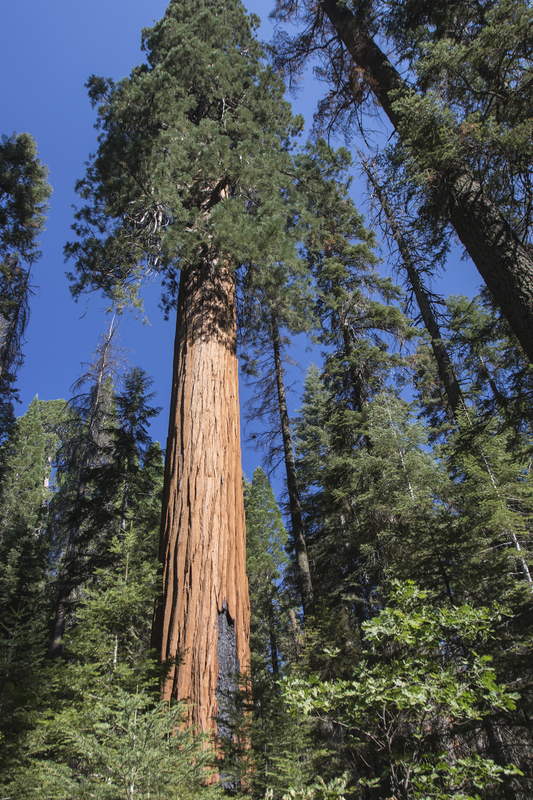 Giant sequoias (Sequoiadendron giganteum) grow naturally only on the west slope of California’s Sierra Nevada range. Redwoods (Sequoia sempervirens) grow naturally only in a narrow strip along the Pacific Coast. 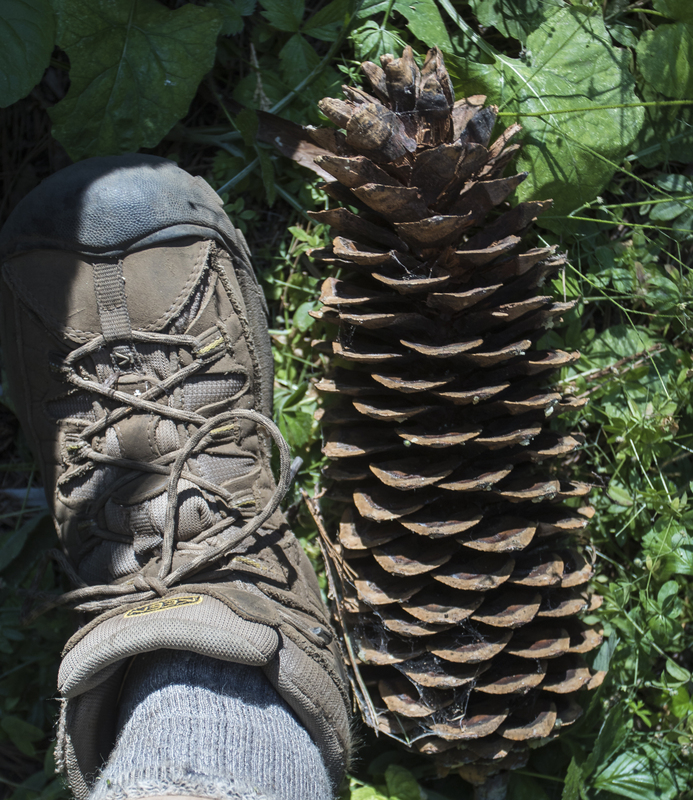 The cones of these massive giants are a little larger than a chicken egg, and the seeds are like oak flakes. 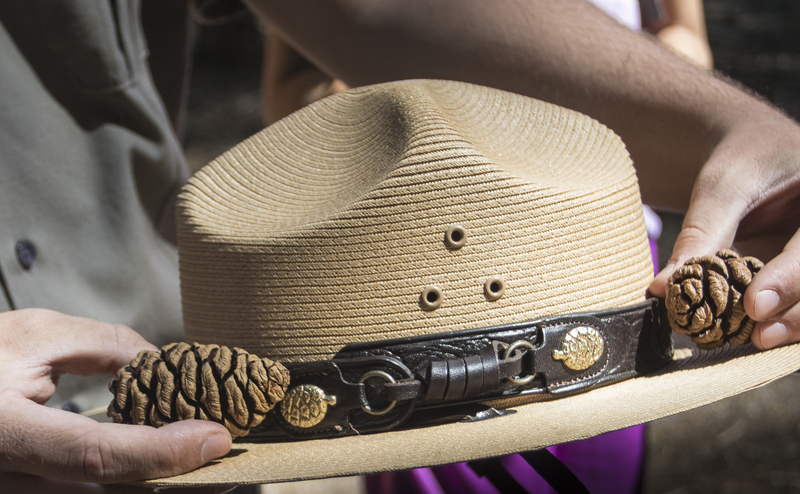 The ranger pointed out that the giant sequoia cone is one of the symbols on every National Park Service ranger’s uniform – on the band of their iconic wide brim hats. Late that afternoon, we finally made it to the trail head into Redwood Canyon (Giant sequoias are sometimes called Sierra redwoods). We started our climb and immediately passed through groves of huge trees that included giant sequoias, sugar pines (with the largest pine cones in the world), and Douglas firs. Late in the day we reached a rocky ridge line overlooking a small canyon. 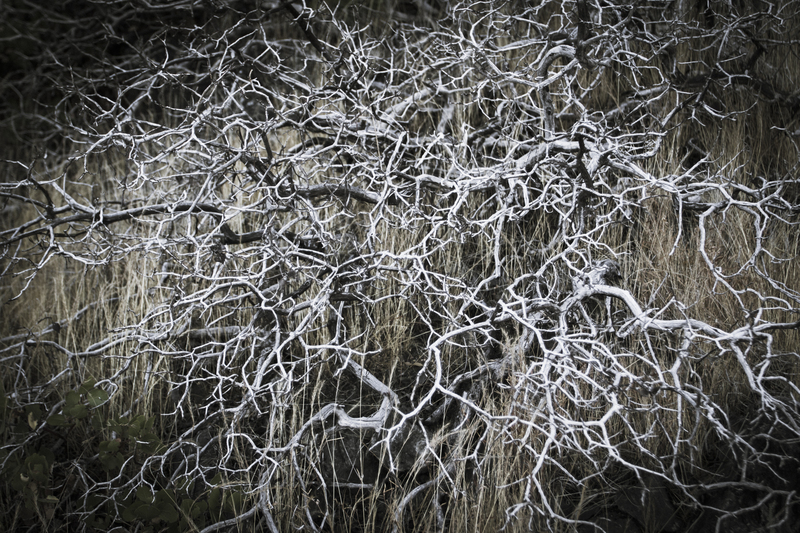 A few open areas provided great views and some interesting patterns in the growth form of plants. We finally settled on a spot near the edge of the ridge with a panorama on one side and a grove of giant sequoias on the other. The forest was incredibly quiet, a fitting silence in such a place of reverence. Megan initially planned to sleep in the hollow base of one of the giants, but ended up setting up her tent in the middle of the night when the scurrying sounds of small mammals, and the more worrisome sound of some larger species, interrupted her sleep (we found what we assumed were three bear day beds on the slope above our campsite). 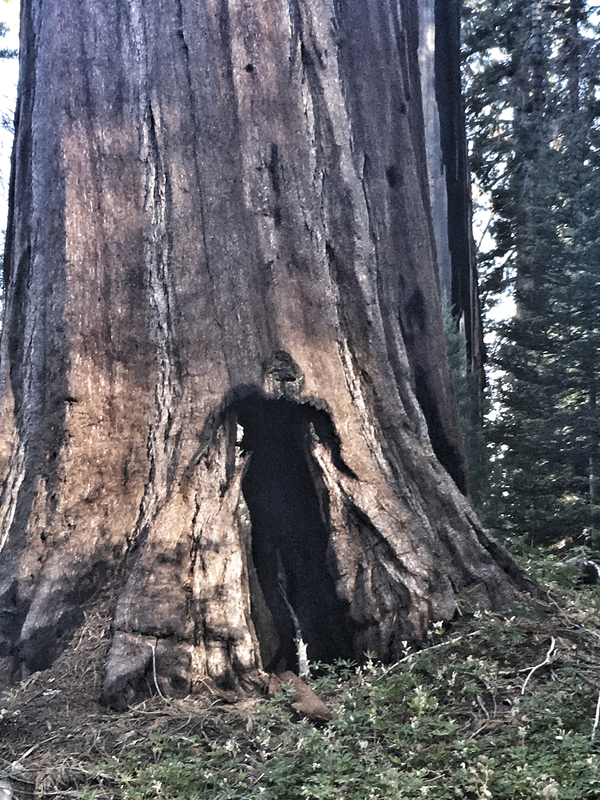 On a morning walk I discovered a surreal figure on one of the sequoia trunks – a burn scar that had an eerie resemblance to a human form, especially when viewed at a distance. Our second day was a longer hike ( about 7 miles) through incredibly beautiful terrain that included dry ridges, clear mountain streams, and more giant sequoias. 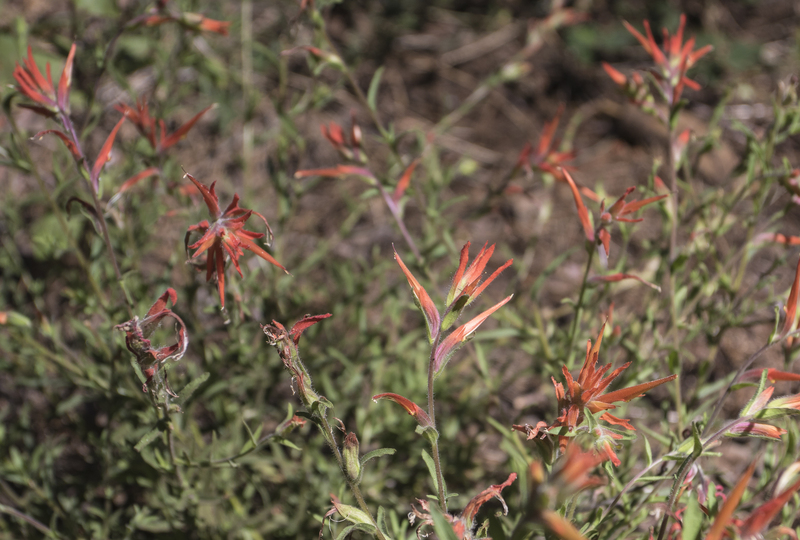 Along the way we spotted a variety of birds, some deer, and an array of wildflowers. 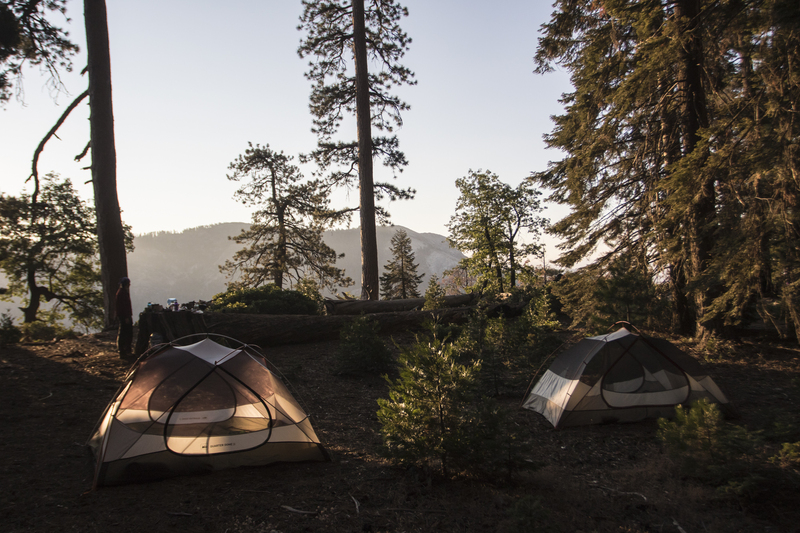 We camped the second night along a stream surrounded by the weathered stumps of sequoias cut long ago in the age of loggers in these mountains. I can’t imagine cutting down one of these giants – both the physical effort and time required (it often took a couple of days just to cut through the trunk), and the process of getting the wood out of this steep terrain. 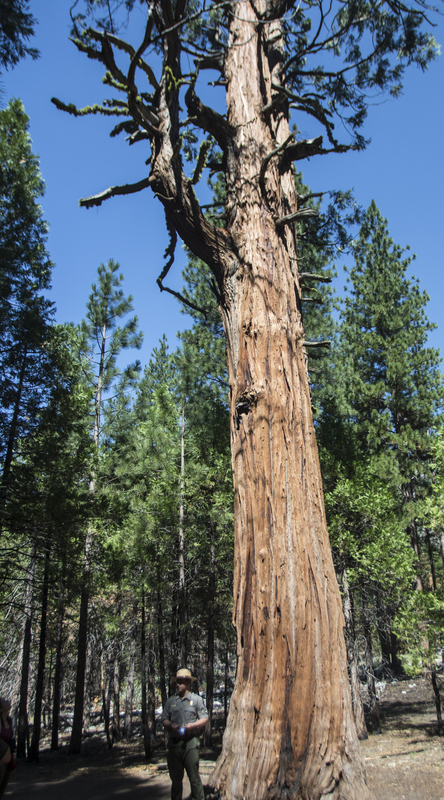 We hiked out the next morning and headed to the adjoining Sequoia National Park (our second oldest national park) with the goal of seeing the General Sherman tree. 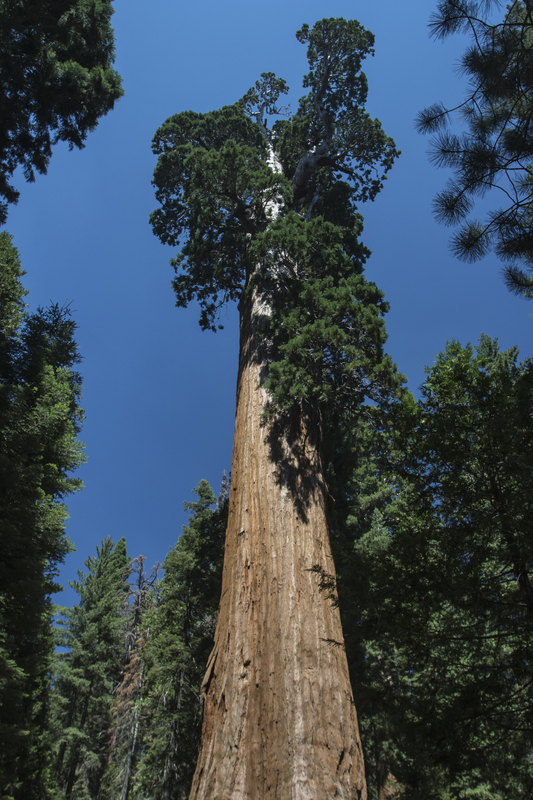 The largest tree (by volume) on Earth, the General Sherman tree is in a forest of behemoths, appropriately known as the Giant Forest. 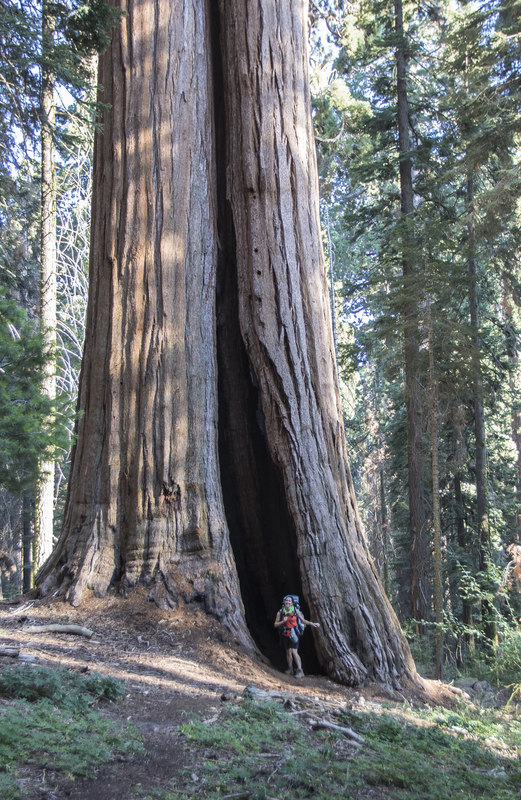 Described by John Muir when he entered this grove in 1873 – A magnificent growth of giants…one naturally walked softly and awe-stricken among them. 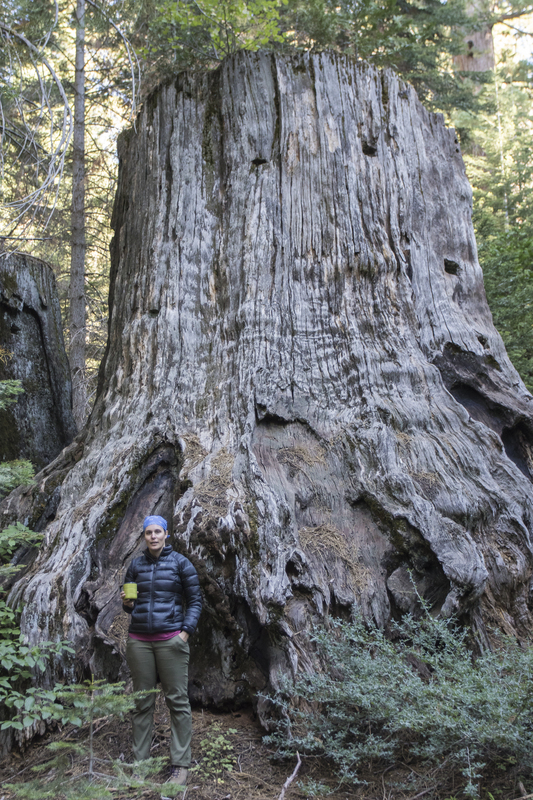 I wandered on, meeting nobler trees where all are noble…this part of the Sequoia belt seemed to me to be the finest, and I then named it “the Giant Forest”. We all are thankful for the efforts of Muir and the many others who saw the majesty in these trees and fought for their preservation. There is something magical and humbling about walking among them, and it is a feeling you cannot find anywhere else. As Muir noted after walking the ridges of this area …it seemed impossible that any other forest picture in the world could rival it. 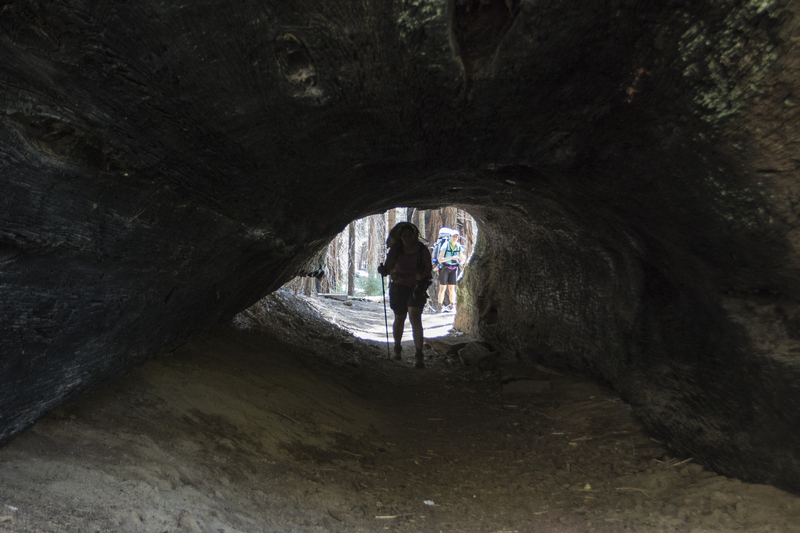 I will have to agree with him, there is no place like the sequoia woods. 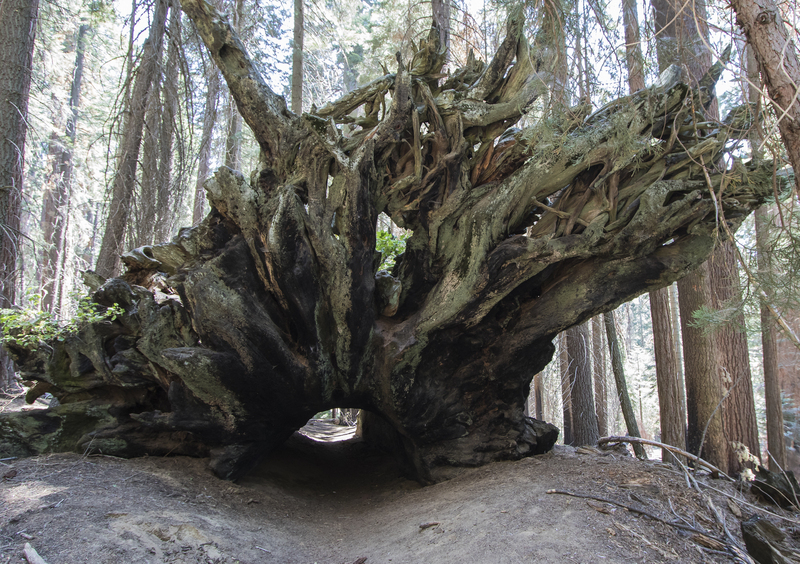 This entry was posted in Natural History, Trip report and tagged giant sequoia, kings canyon national park, sequoia national park by roadsendnaturalist. Bookmark the permalink. Thanks for sharing your trip, Mike. This is a delightful reminder of our times in the Sequoia’s and nearby areas. It’s wonderful to have eyes like yours to give us a look back. Thanks, Rich. So glad we finally made it out there. Wow, this place looks incredible. Your images really capture the scale of it all, from the landscape to the trees. I would love to visit someday! It has been on our list a long time. So glad we finally made it.